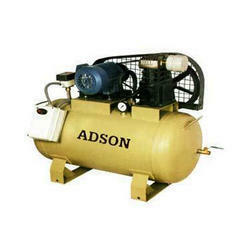 Owing to the advanced machines and equipment of our firm we have come up with highly reliable Two Stage Air Compressor. These are manufactured using premium quality raw material that is procured from some of the most reliable vendors in this industry. Our compressors in the initial stage compress air to an intermediate pressure then removes the heat of compression through an inter-cooler and at the final stage compresses air to build pressure. Clients can avail these as per the specifications and requirements for maximum satisfaction. 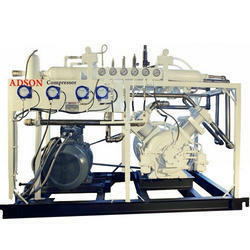 Compressors with different size cylinders may be two-stage machines. First or Two cylinders of same bore size are considered to be one stage and the other last one is considered to be the second stage of two-stage machines. A two-stage model. compresses air to a final pressure in a second compression stage. 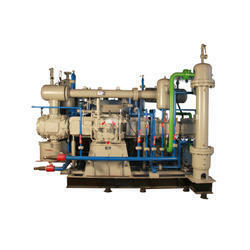 Two-stage compressors are more efficient and are generally used for pressures above 11 Bar (maximum pressure to 14 Bar). The basic principle is that on the suction stroke of the first-stage piston, air at atmospheric pressure enters the cylinder through the inlet filter and valve located in the airhead. On the compression stroke of the first stage piston, the air is compressed to an intermediate pressure and discharged through the valve into a common manifold. From the manifold, the air passes through the intercooler tubes, where the heat of first stage compression is removed by the action of the fan passing cool air over the intercooler tubes. On the suction stroke of the second stage piston, this cooled air enters the second stage Cylinder through the inlet valve. The compression stroke of the second stage piston compresses the air to the final discharge pressure and forces it out through the valve into the receiver or system. 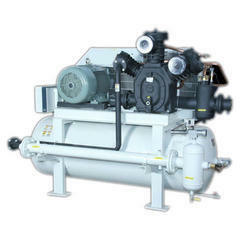 Air Compressors offered comprise a wide range of compressors including Single Stage Air Compressors, Two Stage Air Compressors, Multi Stage Air Compressors, Horizontal Water Cooled Air Compressors, Vertical Water Cooled Air Compressors and Opposed balanced Air Compressors. 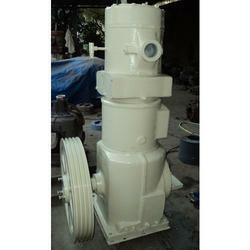 These are made available with desired replacement spare parts so as to ensure minimum downtime of the equipment. These are used as equipment for compressing atmospheric air to higher pressure and are used as a source of power to operate different machines. 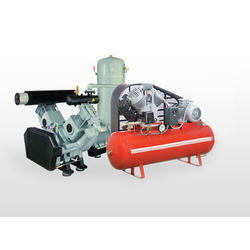 Being a customer-focused organization, we are engaged in offering Air Cooled Compressor. Manufactured using high-grade components and spare parts, these are in compliance with the international standards. The offered compressors are highly known among the customers for features such as high tensile strength and excellent durability. 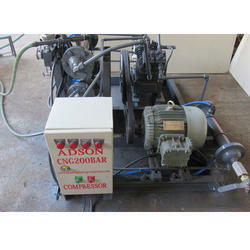 We offer these air-cooled compressors to the customers at market-leading prices. 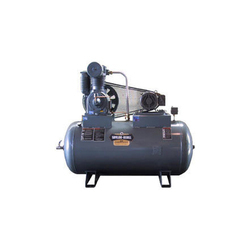 Supported by a team of dexterous professionals, we have been able to offer the clients High-Pressure Industrial Air Compressor. Our procuring agents ensure that the raw material for the product is sourced from certified vendors only. 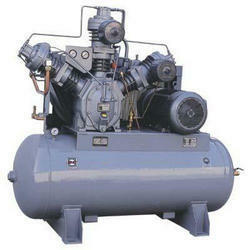 We offer these compressors of different sizes and specifications to meet the varied needs of the clients. Piston & rider rings the ceramic filled teflon piston and rider rings are higher wear resistant and hence have a longer life. The endless type construction for rider rings gives it the flexibility increasing life by 200%. 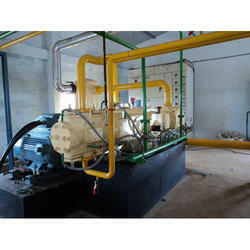 Being a customer-focused organization, we are engaged in offering Oil Free Compressor. The offered compressors are designed and manufactured by the experts using the material as per the set industrial standards. 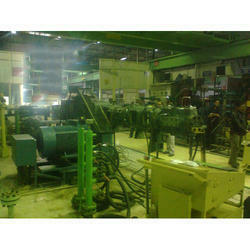 All our offered products are finished with utmost precision employing latest machines. Our offered compressors find their extensive applications in industries such as cement, agriculture, fertilizer, textile, and automobile. 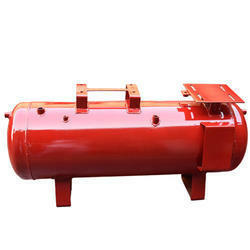 Being a customer-focused organization, we are engaged in offering Mild Steel Air Compressor. These are fabricated under the supervision of professionals using high-quality raw material following international standards. Owing to the attributes such as better performance and rigidness, these are widely applauded in the market. In order to meet the needs of customers, we offer these tanks to the clients in different shapes and sizes. 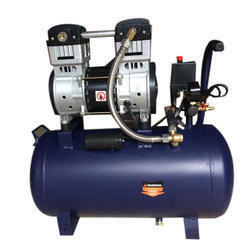 We have in store for our clients Vertical Water Cooled Air Compressor. These are developed using superior quality raw material that procured from some of the most reliable vendors in this industry. Moreover, our manufactured products are tested on various parameters to ensure their adherence to set industry standards and quality norms. 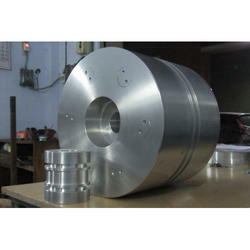 Clients can avail these products from us as per their specifications for their maximum satisfaction.